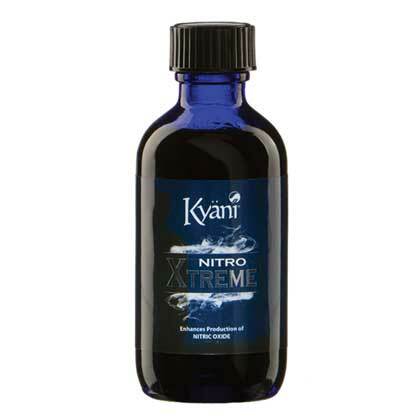 Kyani Nitro Xtreme - Buy Nitro Xtreme at New Lower Prices! What is Kyani Nitro Xtreme? The researchers discovered that your body is able to produce an organic NO compound when you consume Noni fruit juice. Noni is a fruit, rich in antioxidants, that grows in tropical regions. The pale green and white fruit is not much to look at, but it possesses a whole host of positive properties that include inflammatory pain relievers, antibacterial activities to treat infections, and assistance in lowering cholesterol and triglyceride levels. Kyani Nitro Xtreme helps everyone from stay at home parents, students, business personnel, and athletes, to retirees and seniors. It works to increase the body’s natural production of NO and it assists the body’s ability to repair, defend, and maintain every human cell. How Does Nitro Xtreme Differ from Nitro FX? CoQ10 – An anti-oxidant compound that supports 95% of your body’s energy and encourages normal blood flow and cardiovascular health. Magnesium – A mineral that aids in the conversion of proteins, carbohydrates, fats, and sugars into energy. It also supports the ability of your muscles to relax and contract. Zinc – A trace element that helps maintain your immune system, energy metabolism, brain function, blood sugar levels, and healing capabilities. Chromium – A mineral that supports your healthy blood sugar levels, your immune system, your lean body mass, and your heart health. Niacin – This is Vitamin B3 and is required for overall good health. It converts carbohydrates and fat into energy, and it supports your heart health, your digestive tract, and your nervous system. How Do You Consume Nitro Xtreme? 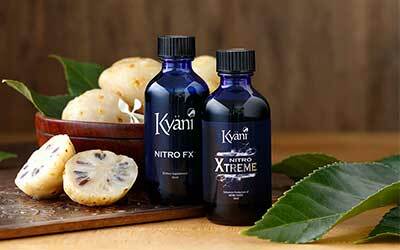 One serving size of either Kyani Nitro FX or Kyani Nitro Xtreme is 20 drops (1ml). It is taken once in the morning and once in the afternoon for optimal nutritional value throughout the day. The concentrated Noni liquid has a strong flavour that can be diluted with water or other juices. How Can You Buy Kyani Nitro Xtreme? Nitro Xtreme is available in both a 56ml bottle or pack of 8x15ml mini bottles. All day on the kiteboard, no worries!